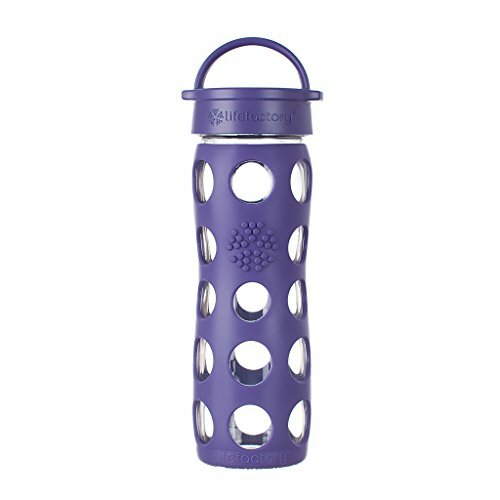 The Lifefactory 16oz Glass Beverage Bottle is the perfect size for on the go travelers. The new 16oz design fits perfectly in most car drink holders. Also it is a great size glass beverage bottle for older kids. The Classic Cap is, well, a classic. It is a simple screw cap that just plain works. A 16 oz glass bottle paired with a leakproof screw cap - traditional and timeless. Ideal for juicing and smoothies. It is the favorite cap for those that prefer to drink direct from a wide mouth. The handle can be clipped to bags and the leakproof cap seals with a twist. 16 oz (475 ml).